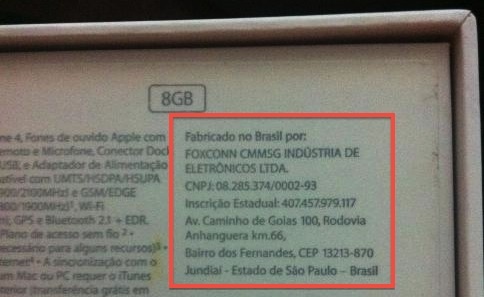 Apple’s efforts to diversify iPhone and iPad manufacturing locations and make the devices more affordable in the world's fifth most populous country by eliminating high import taxes has resulted in moving production into Brazil where Foxconn built its factory. The factory has already begun manufacturing the iPhone and Apple has indeed begun selling the Brazilian-made 8 GB iPhone 4 through its online store in that country. The iPhone 4S and 8 GB iPhone 4 debuted in Brazil in mid-December, but early models were manufactured in China and carried very high pricing with the iPhone 4S starting at the equivalent of over $1400. With exchange rate fluctuations that figure is now over $1500, while the cheaper 8 GB iPhone 4 still comes in at a hefty $1050. The unlocked iPhone 4 is priced at $549 in the United States. UPDATE: Tutorials for iOS 5.1 are availbale here. UPDATE: Tutorials for iOS 5.1.1 can be found here. 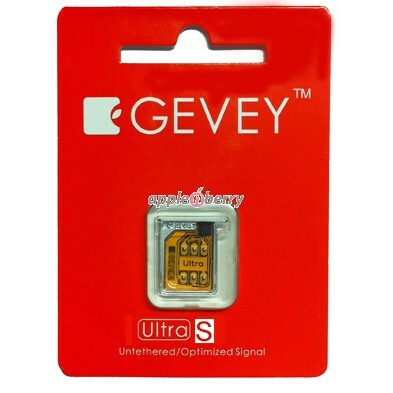 Gevey has announced the Gevey Ultra S SIM interposer which unlocks iPhone 4S without the need for dialing 112 or jailbreaking. 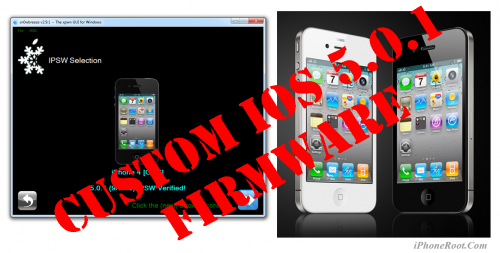 The makers claim to be using a new exploit that 'fully unlocks' the device. Gevey Ultra S is available for $54.99 here. 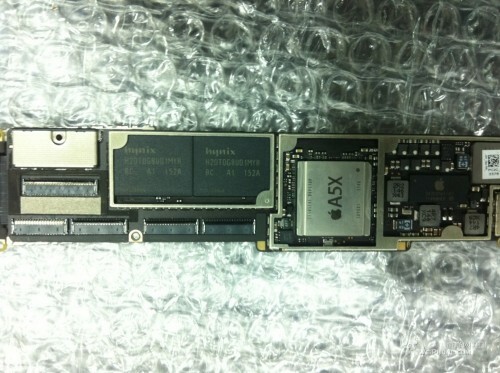 WeiPhone site has leaked a photo of an iPad 3 logic board with A5X CPU chip. Previously it was expected that new tablet will feature A6 chip, reports MacRumors. A date code of "1146" on the A5X indicates that it was manufactured in the 46th week of 2011, which would have corresponded to November 14-20. An "A5X" as a step-wise upgrade to the A5 corresponds with progression of processor part numbers as revealed by BGR in February. At the time the A4 was known to be the S5L8930X, the A5 as the S5L8940X and the new iPad processor as S5L8945X. Citing a “reliable source”, Japanese blog Macotakara reports that Apple is expected to launch its next-generation iPhone in September or October of this year, about a year after the debut of the iPhone 4S that was released in October of 2011. According to Asian reliable source, next iPhone will be released in September or October, and this cycle seems to be kept for years. MacRumors also heard from a representative of a supplier known to provide parts for the iPhone that Apple's ordering plans are pointing toward a launch of new hardware in the September. Apple Daily claims to have received the photo above that shows what is claimed to be an overview shot of the new iPad 3 back enclosure (top of image) as well as a comparison shot between the original iPad, the iPad 2 and the New iPad (inset). The shot reveals the familiar form-factor but the lightning that looks much better in the shot seems to have undergone significant changes. The iPad 3 enclosure seems to have also a more gradual taper to the edges than the iPad 2. As a result of this longer taper, the iPad 3's camera rests on the taper itself. The absolute positioning of the camera doesn't seem that far off from the iPad 2, but the lens does appear larger. 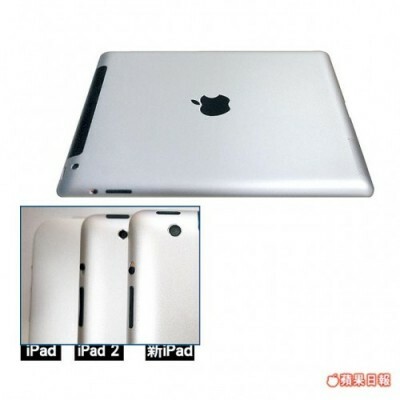 According to NextMedia, the new iPad 3 camera will see a significant upgrade to 8 megapixels. The current iPad 2 back camera is 1 megapixel in resolution. 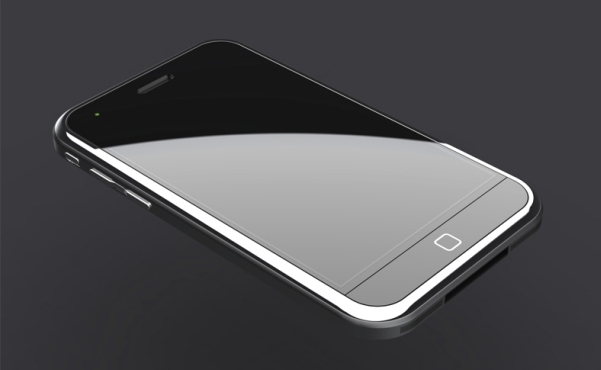 Apple has reportedly settled a class action suit over the iPhone 4's antenna. 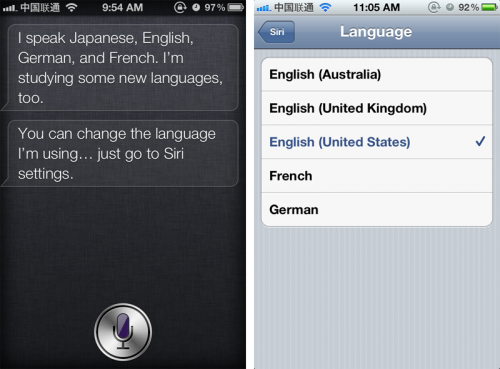 Watchful iPhone 4S users noticed on Tuesday that Siri is now claiming to speak Japanese. Apple's Siri virtual assistant for the iPhone 4S claims it can already speak Japanese, despite the fact that the language is not yet enabled in the feature's settings. When asked what languages it can speak, Siri responds, "I speak Japanese, English, German and French. I'm studying some new languages, too." It then adds, "You can change the language I'm using…just go to Siri settings." However, the settings pane for the feature shows only English (with separate selections for Australia, United Kingdom and United States), French and German, with no way to select Japanese. Using this tutorial you will be able to create a custom firmware, jailbreak and unlock iOS 5.0.1 running on iPhone 4. This tutorial uses Sn0wBreeze 2.9.1 for Windows. Jailbreak is untethered. Untethered jailbreak means that each time you restart your device you will NOT need to connect it to a computer and run utilities. According to Reuters' report, Apple has filed a suit against Motorola alleging that the company has breached terms of the licensing contract with Qualcomm in its efforts to block sales of several Apple’s iOS devices in Germany. Following Motorola's vicrory in a German court in December, Apple last week removed all 3G-enabled devices except for the iPhone 4S from its online store in Germany. However, these devices were restored within several hours after the court suspended the injunction. Apple has posted two new iPhone 4S ads featuring Siri entitled, 'Road Trip' and 'Rock God'. 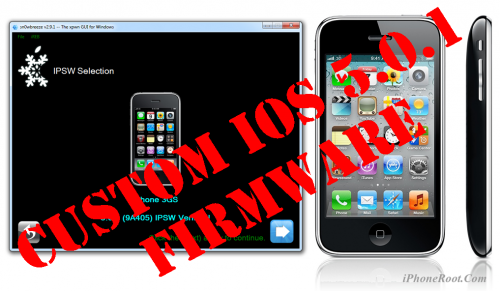 Using this tutorial you will be able to create a custom firmware, jailbreak and unlock iOS 5.0.1 running on iPhone 3GS. This tutorial uses Sn0wBreeze 2.9.1 for Windows. Tech in Asia reports that Apple is preparing to bring support for Chinese, Japanese and Russian to Siri on the iPhone 4S next month. Chinese support will only include Mandarin, with Cantonese and other dialects being left out for the time being. Yesterday Apple notified members of the company’s iOS Developer Program that they will be required to provide high-resolution, Retina Display compatible screenshots. The screenshots are required when initially submitting or updating an app through iTunes Connect. The note sent out to third-party software developers says that any future updates will not be approved by Apple unless 960x640 pixel screenshot is included, a change from the company's earlier policy which supported Retina Display screenshots but did not require them. 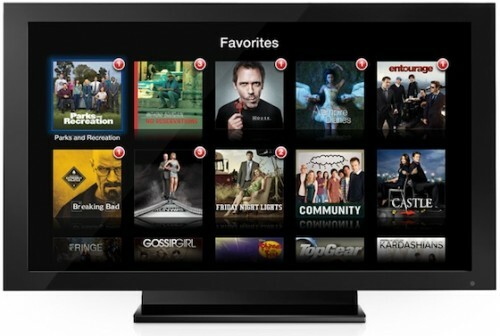 An anonymous source disclosed to The Globe and Mail that Canadian telecoms Rogers and Bell Canada have an early version of a much-rumored Apple television set in their labs. Another source familiar with the negotiations said Apple is in negotiations with the telecommunication giants to enter into a partnership for the device. All of the companies mentioned in the report declined to comment. Both Rogers and Bell already have an existing agreement with Apple to offer its iPhone device on their wireless networks.